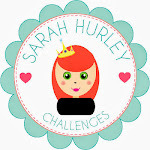 Sarah Hurley 365 (Formerly Sarah Hurley Challenges): Create a Calendar, April. 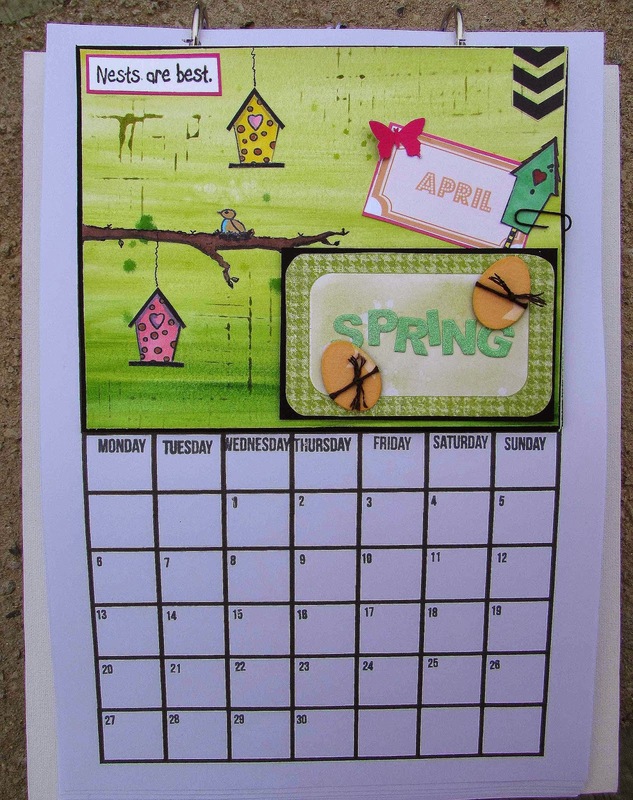 April for me is all about the birds nesting and raising their young in the nest box we have up in the tree. I also have one of those houses on a pole which I was told would just be a feature in the garden and never be used as an actual nest box but despite being metres away from a busy main road and not too high off the ground they do actually nest in it. 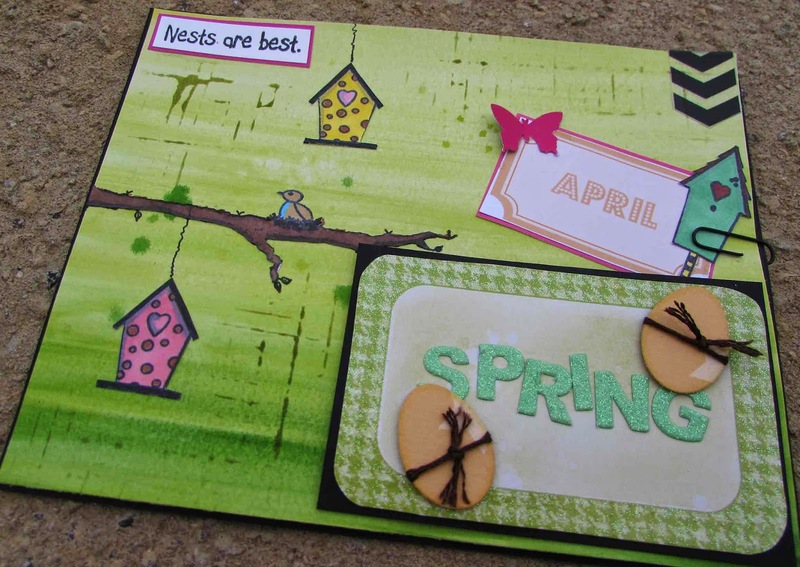 That was the inspiration behind my stamp designs "Tweet Tweet" and "Nests are Best" both of which I've used here. Do you have nest boxes in the garden? Love it Jaine. I miss having nest boxes, we are just too exposed where we are. We do though have plenty of food out for the adults, who them bring all their babies in when they fledge. 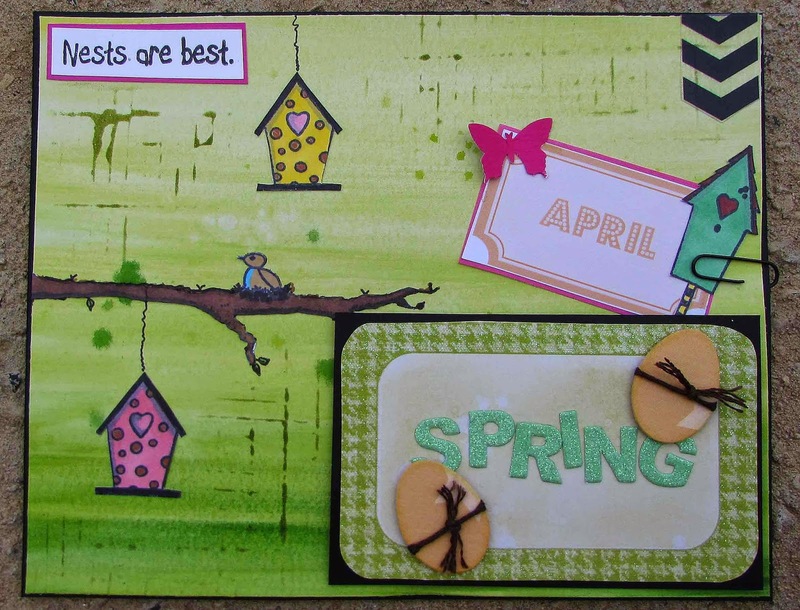 I know I love listening to the birds chirping away.